The title of Rajinikanth's next film is finally here. 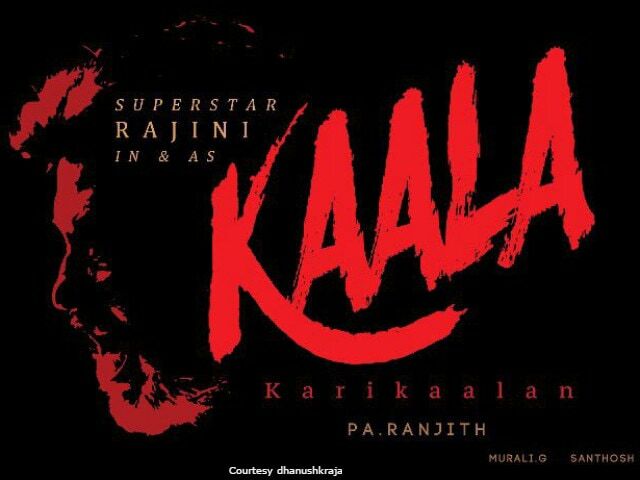 Kaala Karikaalan is what the thalaivar's next film has been titled as. Dhanush, who is married to the megastar's daughter, Aishwaryaa, unveiled the title in English, Tamil, Telugu and Hindi, written on a black and red themed poster featuring a silhouetted Rajinikanth. Dhanush, who tweeted on Thursday morning, shared the posters to make the grand announcement: "Wunderbar films presents superstar Rajinikanth in and as #thalaivar164." Kaala Karikaalan is being produced by Dhanush's Wunderbar Films while director Pa Ranjith will hold the reins of the film. Rajinikanth, 66, has already worked with Pa Ranjith in the 2016 blockbuster gangster drama Kabali. Rajinikanth's new film Kaala Karikaalan is scheduled to go floors on Sunday. Dhanush also revealed that the first look of Kaala Karikaalan will be unveiled today evening - keep yourself free at 6 pm. '#Makewayfortheking" is the tag he used. Meanwhile, it is actress Huma Qureshi who has reportedly been roped in to play Rajinikanth's love interest in the film. "The makers were looking for someone with a strong screen presence as it's a performance-oriented role. Huma will play Rajinikanth's love interest. She is really excited and will start prepping for the role soon," Mumbai Mirror quoted a source as saying. Kala Kaarikalan will mostly be in Chennai and will have music composed by Santhosh Narayanan. Meanwhile, Rajinikanth will next be seen in Shankar's 2.0, in which he reprises the roles of Dr Vaseegaran and his robot Chitti. Akshay Kumar plays the main antagonist, Dr Richard. After several rescheduling, the Republic Day weekend of 2018 has finally been zeroed in for the release of 2.0.